On the weekend of the 13th of April the club open singles and doubles was contested with both finals being played on the Sunday. Tom Lewis was too good on the day and took the Singles title and also the Doubles title along with Ben Coleman against a valiant effort from James and Hamish Dron. Thank you to all that came along to support, in particular to Bee Barford and Charlotte Wilsher nee Bretten for presenting the trophies and to Claire Stacey for keeping us fed and watered. A really great day was had on Saturday 6th when Hatfield House came knocking on our door. After some great matches and a variety of playing styles...it was 2 - 2 with 2 matches left to play. The Brodie Bunch managed to scrape through and won the remaining two games with some fantastic tennis being played. Nick...I have your bunny...don't pretend it belongs to the small human. The Ponsford Plate was hotly contested on Sunday 10th March. The entry was limited to six couples and, with handicaps ranging from the mid 40’s to the mid 70’s, Ben and KK had a challenging time in arranging the pairings! The format was round robins of first to five games or 25 minutes on the clock, with the two most successful couples playing in the final. 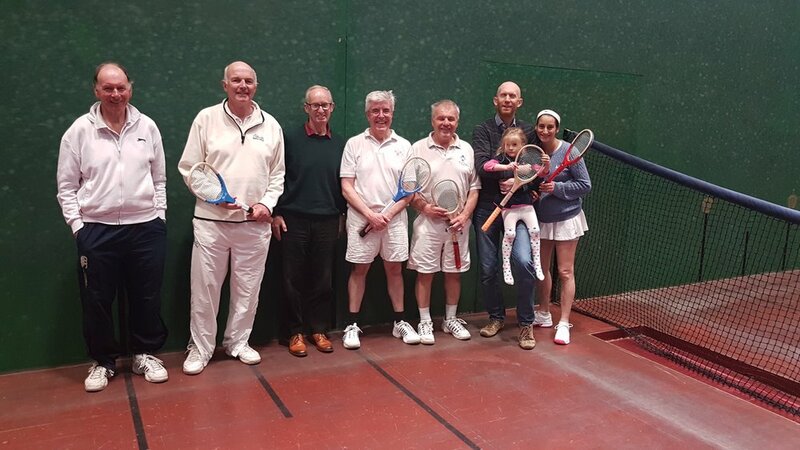 Several of us had played in the Ponsford Plate before but it was great having a number of ‘first timers’ playing – especially with two of them getting into the final! It was down to the last round robin as to whom would contest the final – and what a contest it was between Jan Fuller and Paul Wilson versus Judy Ponsford and Bob Stacey. Nerves inevitably played their part but neither side was prepared to give an inch. Jan’s game in particular had been going from strength to strength during the course of the day. The score was evenly matched at 4-all, 30-all with Jan and Paul defending two chases of 5 yards but Bob and Judy held their nerve and crept home 5-4. Judy and Nick made sure that everyone had an excellent lunch (with plenty of wine! ); KK did an excellent job marking; and Nick had the honour of presenting his wife with the Ponsford Plate. 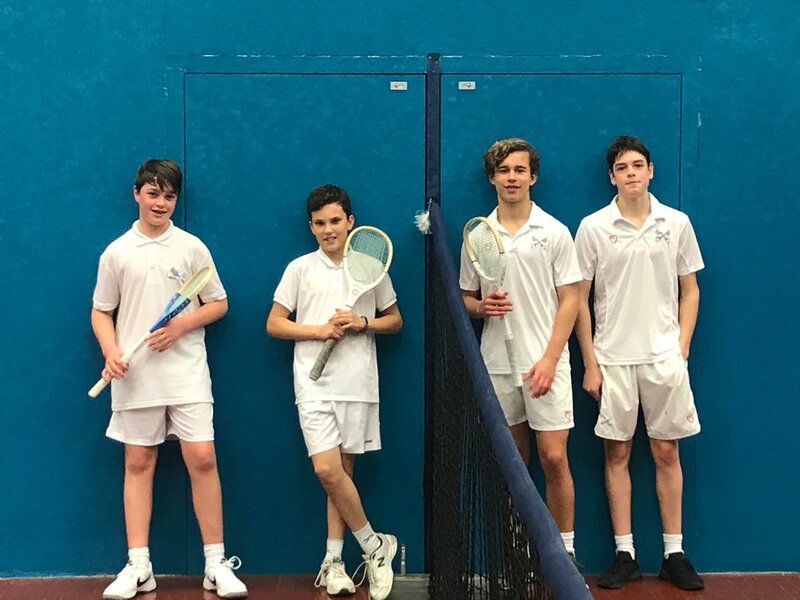 On Saturday 2nd March, two of our juniors - Henry Taubman and Dominic Bruton visited Radley for a great day of tennis. Radley squeezed to a narrow victory of 3 -2 so well done to Monty and Harry, and to Chris and all the Radley team for giving the boys such a good day. I suppose I should thank all the oldies (Steve and James) for getting the boys there and for playing! Thanks to Radley who hosted our elite squad on Saturday 8th March. Captain Phil Moss was the more than capable leader in his first ever outing as a match manager so many thanks to him too! Radley just pipped us in the game score for the day by 4 -3. Bristol welcomed a team of Old Etonians on Friday as part of their weekend tour. It was a great day and there was a definite outbreak of fun. Bristol won the final doubles to level the day at 3 all. Many thanks to Julian Hemming for all is hard work. The new membership initiative is now underway, with the offer of a free introductory package as a taster that will hopefully lead on to Trial and then Full Membership. Stuart Andrews is taking the lead and is initially targeting staff at Clifton College. We also want to promote the package in clubs, companies and other organizations, where individuals or groups of people might be persuaded to take an interest in the game – and there is a box of posters at the Club just waiting for you to distribute them! Linked to the new initiative, we are trying to make visiting the Club a more enjoyable and rewarding experience for everyone. So is there a case for bringing back Night Pennants as well as having Club Nights? Would you be interested in weekly coaching clinics at various levels? Would you like the Pros to spend more time watching and commenting on games in progress? What else can we be doing to better the situation? The car park barrier is beyond repair – it has served the Club well for more than 20 years, but must now be replaced. I am very grateful to, and would like to thank, Nick Ponsford for his very generous contribution towards the cost of the new barrier. Hopefully this will be installed in the next few weeks. Unfortunately the match against the Hyde at the beginning of February was postponed because of the weather. On Saturday 2nd March, 2 of our juniors, Dominic Bruton and Henry Taubman are travelling to Radley to play in the Peter Luck-Hille Cup. We wish them the best of luck and hope that they will have a great experience. On Friday 8th March we are at home to the Old Etonians, with Julian Hemming as Match Manager. On Saturday 9th March, Phil Moss will be leading a team against Radley, which is between Reading and Wallingford. On Saturday 16th March we are at home to the Ladies Real Tennis Association, with a number of members having to decide whether to play for BRTC or for the opposition! On Sunday 17th March we are at home to a team from Leamington Spa, with Matt Skidmore as Match Manager. Although we had to postpone the match against Petworth House scheduled for on Saturday 2nd March, we are still hosting the Brigands, a visiting group of Petworth players, on Friday 29th March. 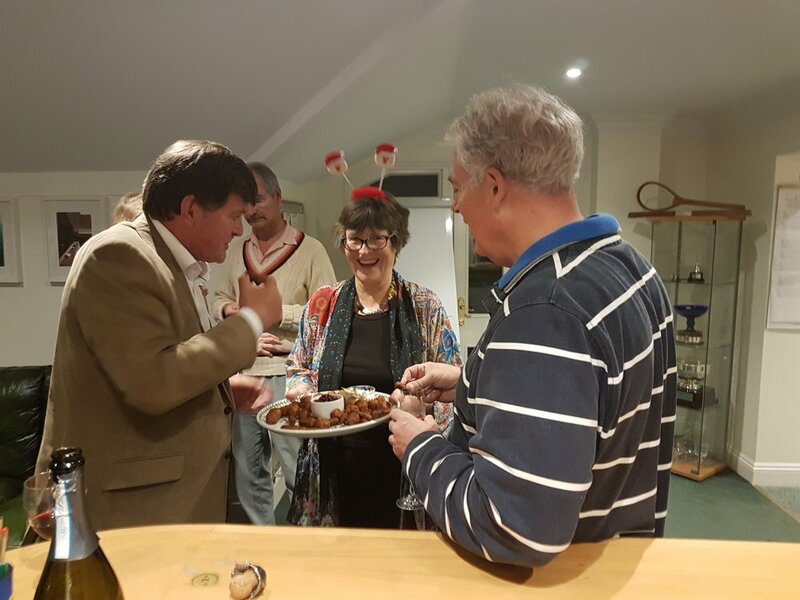 On Sunday 10th March we have our annual mixed handicap doubles tournament - The Ponsford Plate, which is always a great day out, with a very good lunch and a chance to get your name on the board! We have one ‘official’ taster session on the morning of Sunday 24th March but individual or group tasters can be arranged as required, providing the court is free. Then there is a singles medal day open to under 30 handicaps Saturday 30th March and the Chairman’s Doubles, with a light lunch, on Sunday 31st March. Plus, of course, the regular Monday and Wednesday Club nights – please book in with KK or Ben if you want to play - and the next box league starts will start the first week in March if anyone wants to enter – or withdraw! So there are plenty of tennis to look forward to! There are no Club social events scheduled for March. However KK is keen to raise our profile in Clevedon and wants to get a team of 4-6 members to take part in a quiz night being organised the Clevedon Lawn Tennis Club on Friday 22nd March from 7 pm. More details, if you are interested, are available from KK. ‘Twas a cold and stormy night (don’t think it was actually) when the greatest minds of Bristol were invited to test themselves in the mightiest quiz know to mankind…however they were busy so instead, the BRTC members gave it a go. There was much gnashing of teeth and scratching of heads on Thursday night at the annual BRTC Quiz. 30 members took part and the victors were the Pigotts and the Dedmans (team The Backstops). Do you know the common name for the tree Taxus Baccata or the name of the 8th Planet in the Solar System? No...well The Backstops did! Congratulations to everyone who made it to February. I can officially confirm that this January was the longest on record, lasting for exactly 237 days. Anyway, please feel free to join me for some tennis or a snowball fight. A number of things cropped up recently relating to the Club rather than to tennis so I am combining a Newsletter with ‘What’s On’ in February. 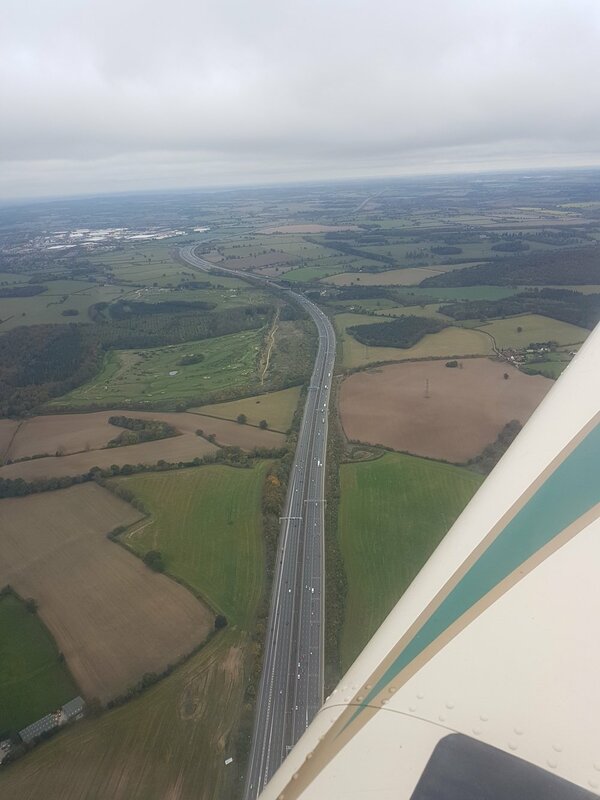 · Ben is now well on the road to recovery having had a severe dose of pneumonia, although he will be on light duties for a while yet (i.e no serious tennis!). KK did a wonderful job filling in whilst Ben was away but this does beg the question of having someone to ‘mind the shop’ if one or both of the Professionals are incapacitated. Ideally we need a small group of members who are prepared to come in and help out should the situation arise – volunteers please. · Chris Harland, who has served on the Committee as our Youth Development Officer since April 2015, will be standing down at the AGM because of increased work commitments. Chris has worked hard with local schools to introduce youngsters to real tennis and he did a great job in assembling the youth team for the Royal Visit last year. We need to maintain the momentum and build on his efforts, so please email him at (chris.harland@orange.fr) if you want to learn more about the role or are interested in taking it on. · On Committee matters in general, we do need more members to get actively involved in the running of the Club. There are a number of areas where we could do with extra hands to assist without necessarily becoming a member of the Committee, for example, looking after the day to day running and maintenance of the building; assisting Jan with social events; taking on the role of Health & Safety officer; and helping with other day to day matters such as organising competitions. Don’t just come and play, get involved – though we need you to play more as well! · As part of the above, you will be aware that the Club is launching a new membership drive. Increasing membership numbers has been an ongoing issue for several years, with the number of new members balancing out the number of members resigning. We know that the best way to attract new members is via existing members. Veteran members have probably exhausted their credit with friends and family – so I am looking to our newer members to encourage friends and family to come along and try the game. We are also looking at other initiatives, such as targeting specific groups – so again if you want to get involved, get in touch. The Club has just invested in a special oversized racquet, which is intended to make it easier for new players, and especially children, to get to grips with what is quite a difficult and complex game – all we need now are new players to try it out! 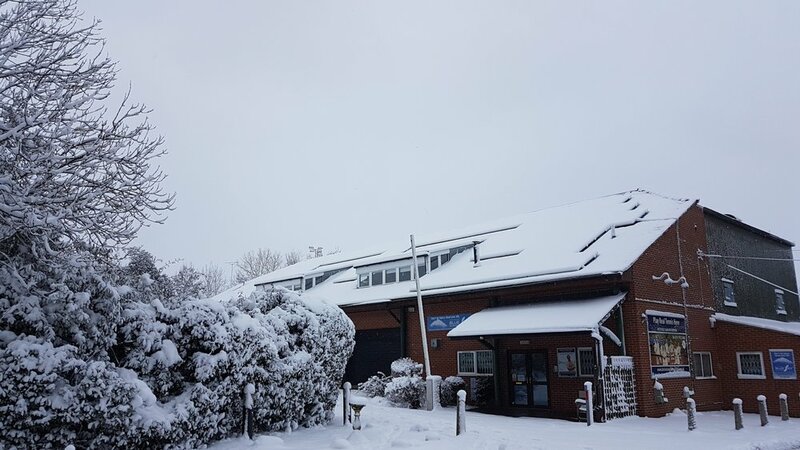 · Following a query from a member, it has been agreed members may have sole use of the court for an hour to practice, at the normal single rate of £9.00, with the caveat that the court can only be booked for this purpose on the day. If a member wishes to book a specific time for practice, in advance of the day, they may do so but will have to pay the full rate of £18. · Finally on Club matters, there is a change of date for the Club’s Annual General Meeting. Unfortunately I am no longer available on Wednesday 24th April, the original date given in the Fixtures List, so the 2019 Annual General Meeting will now be held on Wednesday 1st May. · Congratulations to Henry Taubman on winning the Yearling Cup. This is a handicap tournament for members who have been playing less than 12 months and Henry did very well to take on more senior players, including his father! · It is interesting that some 50% of the inter-club matches scheduled to take place between September and the end of January were postponed. The game against Canford had to be postponed because of condensation on their court but the other instances were mainly due to lack of players either on our side or the opposition. So we are not alone in this. Also weekends are precious for families and people are disinclined to travel long distances just to play a couple of games of tennis. But these matches provide a great opportunity to play against members from other clubs and, in the case of away matches, to play on other courts – so have a look at the Fixtures List and give it a try. · Having said that, there are just two inter-club matches in February. The first is this coming Saturday away at the Hyde, near Bridport, and the second is against Oxford at home on the 16thFebruary. Speak to KK or Ben if you are interested in taking part. · The other fixture for this month is the 70+ Challenge – Age and/or handicap on Thursday 21st February. This is a new event and the format will be decided nearer the date but it is open to all members over the age of 70 and members with handicaps of 70 and above. A light lunch will be provided. · We have one ‘official’ taster session on the morning of Saturday 9th February but individual or group tasters can be arranged as required, providing the court is free. 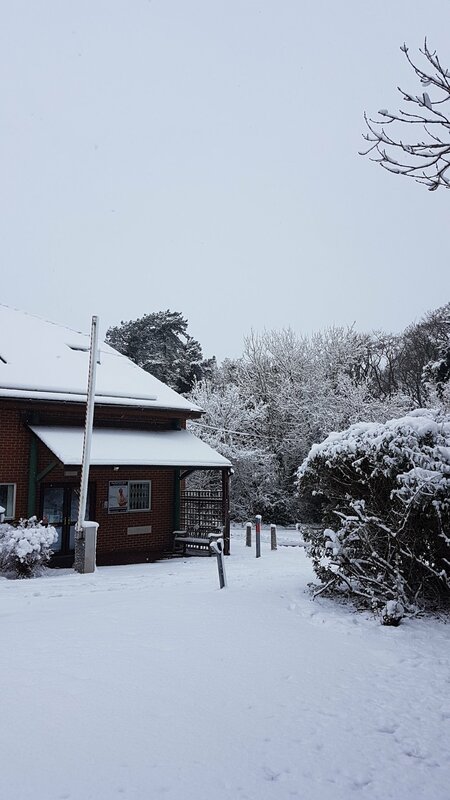 · Then there is a singles medal day open to all handicaps on the afternoon of 9th February and, of course, the regular Monday and Wednesday Club nights and the box competitions. The main social event for this month is the Quiz Night on Thursday 7th February starting at 6.30 pm at the Club. Family and friends are welcome to join in and there will be a welcome drink and supper for £10 a head. 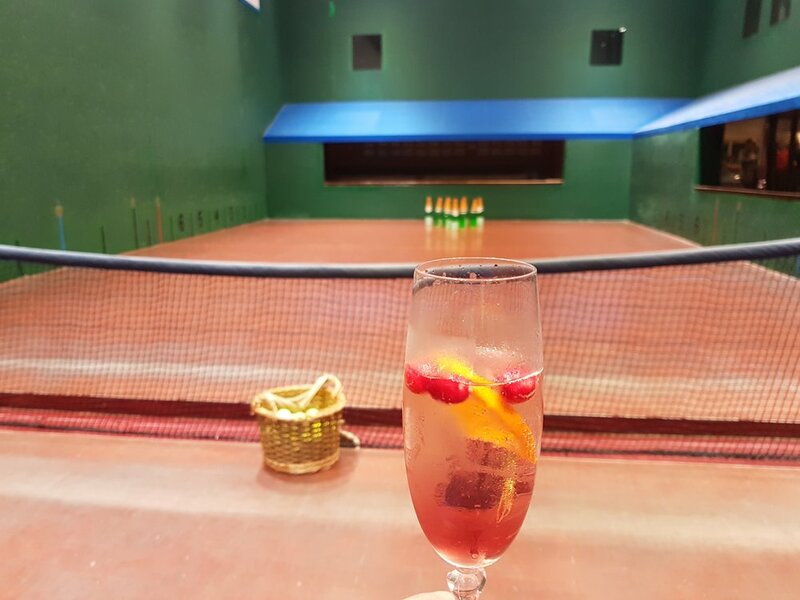 'Twas a dark and stormy night when the good and great of Bristol descended upon the mighty Bristol Real Tennis Club for an evening of drinking, The Chawner Challenge and some spectacular doubles. Now I will be the first to admit that there may be some slight errors in that statement but I cannot say where. Suffice to say that it was a superb evening and fun was had by all. Thank you to Will Chawner, Jan Fuller and all the team that helped. I am trying a new format for the monthly newsletter, with the detail embedded in the email rather than in an attachment. Hopefully it will make an easier read and might even generate a few more responses! And whilst on the subject of responses, please, please, please don’t be shy about putting your name down to play in Club tournaments and inter-club matches. The entry was disappointingly low for the recent Newman Bell Club Handicaps Doubles. Unfortunately I wasn’t able to play this year and couldn’t make the final, but those members who did play enjoyed some very good tennis. It would also be nice to have more people coming along to watch, support and enjoy a tournament final – the more the merrier in the dedans, so you could bring along all the family as well! 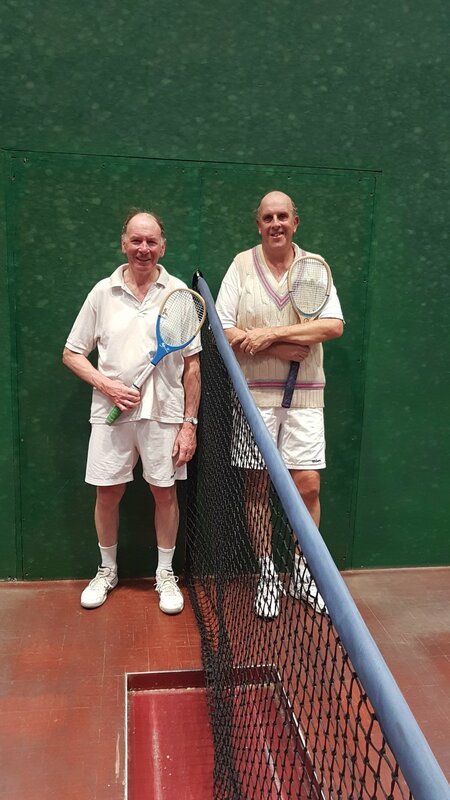 Many of the Club tournaments are played off handicap, which means that everyone can join in and get the chance to play other members that they wouldn’t normally expect to play – and for doubles tournaments, KK and Ben are more than happy to find partners. 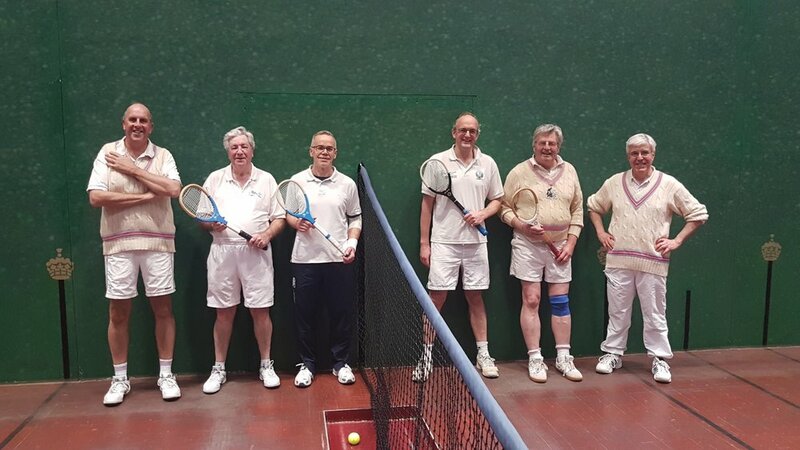 It can also be a struggle to get a team together for some of the inter-club matches – though I suspect we are not alone in this – but for home matches, it is an opportunity to play members from other clubs, and for away matches it is an opportunity to play on other courts and have a good day out. Remember - car sharing is always a possibility. Unfortunately, in a similar vein, we have been unable to raise a team this year for the Preliminary Round of the Brodie Cup, which is one of the major T&RA inter-club competitions. The downside is that it is limited to T&RA members in the 30-50 handicap range, which is something of a limiting factor. I am very grateful to KK and Ben for doing a champion job in trying to get members to play more, BUT they can only do it with your help and support. Saturday 3rd November away against Seacourt (Hayling Island) - I know the call has gone out for players but this is an opportunity to play on a court very different to our own and one that is very difficult get a casual booking on. Sunday 11th November away against Cambridge – a club with two very different courts. Just see KK or Ben if you would like to play - for away matches the host club has to match the handicaps of our team, whereas for home matches we have to match the handicaps of the visiting team, so there is plenty of opportunity to join in. And a Taster Session for new players interested in taking up the game on the morning of Saturday 10th November – it is very important that Taster Sessions are well supported as we need to encourage new players, especially younger players, to become playing members, so please bring your friends and family along. And don’t forget the Monday and Wednesday Club nights. Following on from last year’s success. Jan and Laurence are organising a whist drive on Friday 16th November, with supper and wine. Please let KK or Ben know if you are interested in coming. Start Christmas early with drinks, canapés, the infamous Chawner Challenge and an Exhibition Match on Wednesday 5th December from 6.30pm. The Club’s Christmas Lunch will be on Thursday 13th December at the Lansdown Pub in Clifton. With best wishes and plenty of good tennis. 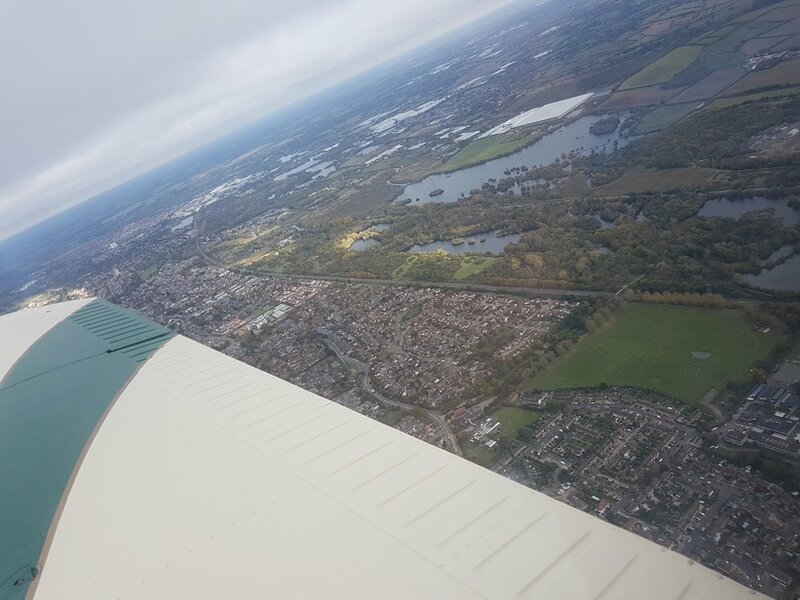 On the beautiful sunny morning of Friday 26th October, Squadron Leader Nigel Harradine, Flight Lieutenant Ben Coleman and a couple of stowaways Chris Barnard and Reggie Williams made a giant leap for mankind as they took to the air in hope of reaching Prested Hall. It was never in doubt. Our fearless pilot touched down on a wonderfully narrow runway only a stones throw from our destination. After 2 hours or Realers we had 2 hours of Padel and then a dip in the pool was needed before re-testing our drinking arms. 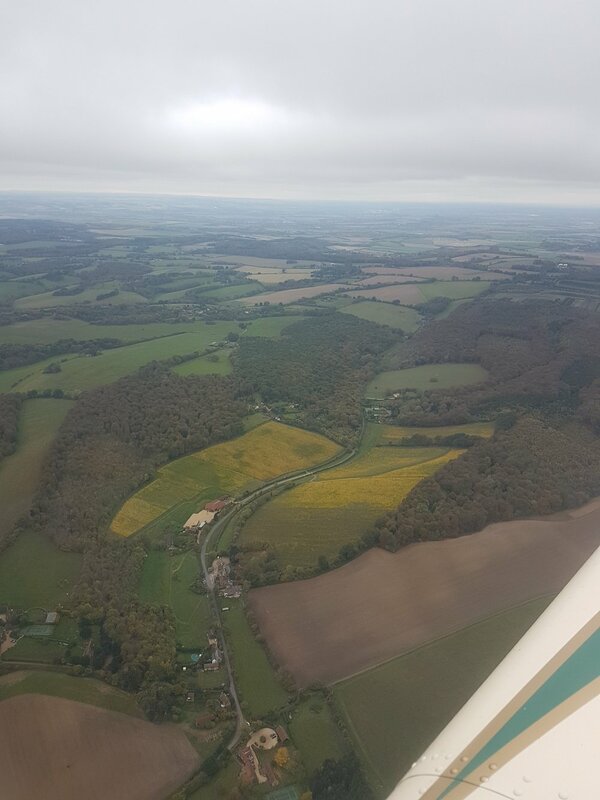 After 2 more hours of Tennis the following morning we made the return flight and huge respect to Captain Harradine for having to be re-routed and then landing with zero visibility in an instrument only landing in driving rain and strong winds. Thank you to the team at Prested and massive fun was had by all. P.S Reggie may need new pants after the landing. Over & Out.